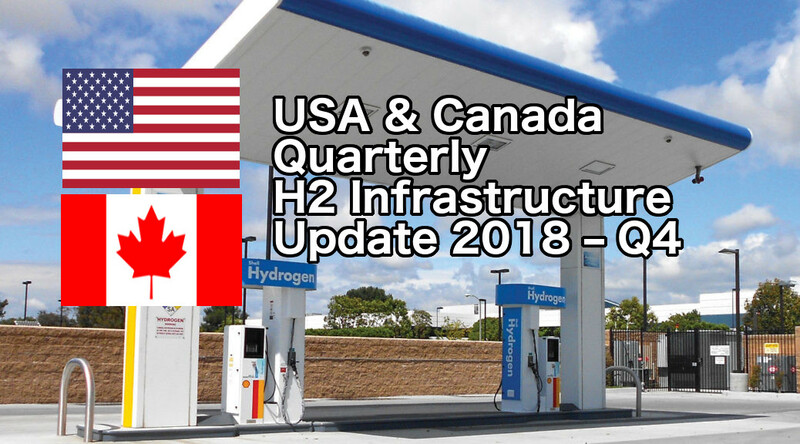 RMP will begin publishing regular updates of H2 infrastructure build out going on in the USA starting with this very post. RMP created a map several months ago to show all H2 stations in the USA, which you can see by clicking here. Currently, public H2 fueling stations have been predominantly located in California. And, while California continues to be the only state with significant infrastructure to support a fleet of vehicles, the activity there is picking up at a pace not seen over the past couple years. The eastern seaboard has also entered into the public H2 infrastructure game with multiple stations in the planning phase. Things are finally starting to get exciting for a non-profit like RMP that is dedicated to supporting hydrogen fuel cells as a clean energy solution to so many environmental & economic issues. RMP uses the AFDC download to underpin our H2 fueling station map. RMP also has a supplemental MySQL data table for additional information related to each station where users like you can contribute to the map by adding information & media like a facebook page for each fueling station. Email us at respectmyplanet@gmail.com if you would like to learn more about how you can help add information to our map. RMP also reconciles our map periodically to the California Fuel Cell Partnership (CAFCP) map, which is maintained by Ben Xiong and Joe Gagliano. If you want to get a wealth of information about fuel cells from the source, check out CAFCP’s website too. I spoke with Ben on the phone the other day and he told me that CAFCP actually feeds the AFDC database, so CAFCP is truly the source when it comes to following H2 infrastructure. Many exciting updates were discovered when downloading the most recent version of the AFDC station list and integrating them into RMP’s H2 fueling station map. Three new public stations opened in California bringing the total number of publicly accessible H2 stations to 31 at the time of this publishing. The San Ramon, Fremont, and Torrance stations officially opened to the public in the past couple months. 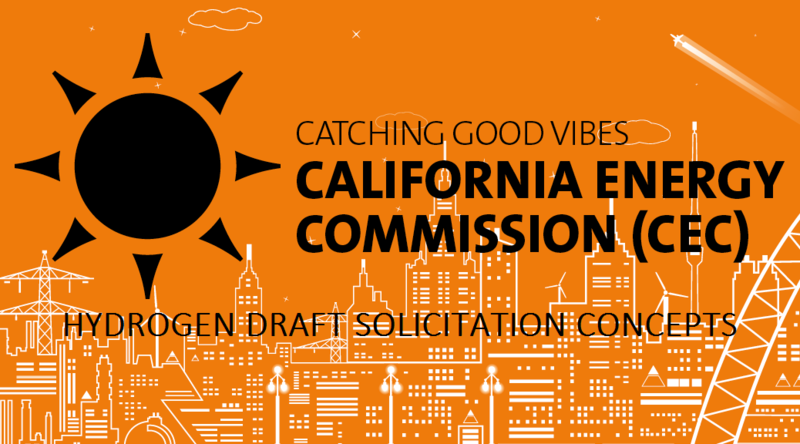 California’s infrastructure is now supporting approximately 3,000 fuel cell electric vehicles. Perhaps even more exciting though is the pace at which new proposed H2 stations are coming into the planning phase in California. Upon the most recent download of the AFDC database, there are 16 more stations that have entered the planning phase in California. 8 New stations in the San Francisco Bay Area, 4 in Los Angeles, 1 in San Diego, 2 in Sacramento, and 1 more connector station between LA & San Francisco. That brings us to the next exciting news, which is that Air Liquide has partnered with Toyota to start building H2 stations on the East Coast of the USA. On the latest download of the AFDC database, there is a new station in development in Brooklyn, NY as well as Providence, RI. A station is also listed for Braintree, MA. The other big news recently is Nikola Motor’s new H2 fueling map showing the locations of 364 forthcoming new H2 stations that will be used for their truck fleet but also open to the public using passenger vehicles or other commercial vehicles. One of the great things about H2 is that one station can use a common nozzle to fill a Class 8 truck, a car, a pickup truck, a Class 6 truck, a moped, airplane, whatever. It just doesn’t matter what you’re fueling, the nozzle and the fuel is the same regardless. This will help dramatically reduce infrastructure costs over time. Did you know that out of 42 gallons of crude oil in a barrel, you can make about 20 gallons of gasoline and 11 gallons of diesel fuel? That is a huge weakness of using gasoline and diesel in our economy not to mention so many other weaknesses of using oil for transportation fuel. Read any one of RMP’s dozens of posts to learn why oil is bad for our economy and H2 is good for everyone. In other H2 infrastructure news an announcement was made by Toyota in concert with Danbury, Connecticut’s Fuel Cell Energy Corporation that they will be building a 100% renewable off-grid powered “tri-generation” fuel cell plant at the Port of Long Beach. Toyota operates a hydrogen semi with over 4,000 sorties run for testing of their Class 8 proof of concept vehicle. Toyota said Thursday November 30, 2017 at the Los Angeles Auto Show that their 100% renewable off-grid hydrogen generation station at the Port of Long Beach will produce 1.2 tons of H2 per day and 2.35 megawatts of additional electricity – extracted from methane that’s a byproduct of dairy cattle poop. It’s the first megawatt scale, 100% renewable “Tri-Gen” refinery and will provide all the power needed at the logistics facility at the port that processes Toyota vehicles arriving in the U.S. from Japan, the company said. Not only is this great news that helps more zero emission vehicles get on the road, it is an affirmation of what RMP has been posting about now for years. The cow poop used to power these massive 80,000 lb (when fully loaded) Class 8 trucks would otherwise decompose to greenhouse gases like methane, which is 30x more potent as a greenhouse gas than CO2. Not only is fuel made from naturally occurring gases like methane carbon neutral, it stops other fuels like gasoline or diesel from being imported and burned. It’s truly two birds with 1 stone and does not stress our electricity grid but rather takes pressure off of it. BEVs get a lot more publicity than hydrogen fuel cell vehicles because BEVs have proliferated much faster. It wasn’t always that way though. Barriers had to be broken down before BEV tech made sense for many consumers. One of those barriers was being able to charge at home overnight with Level 2 charging. Ya know, Tesla gets a lot of credit for building out a network of Super Charger stations across America as a selling point for their vehicles. But, when it comes to BEVs convenience, most people talk the ability to use a Level 2 charger at home overnight as their #1 selling point. That ability to charge overnight with a Level 2 charger that Tesla benefits from did not come from Tesla per se. It was Michigan’s own General Motors Corporation that did the hard work of busting down barriers for Level 2 home charging. 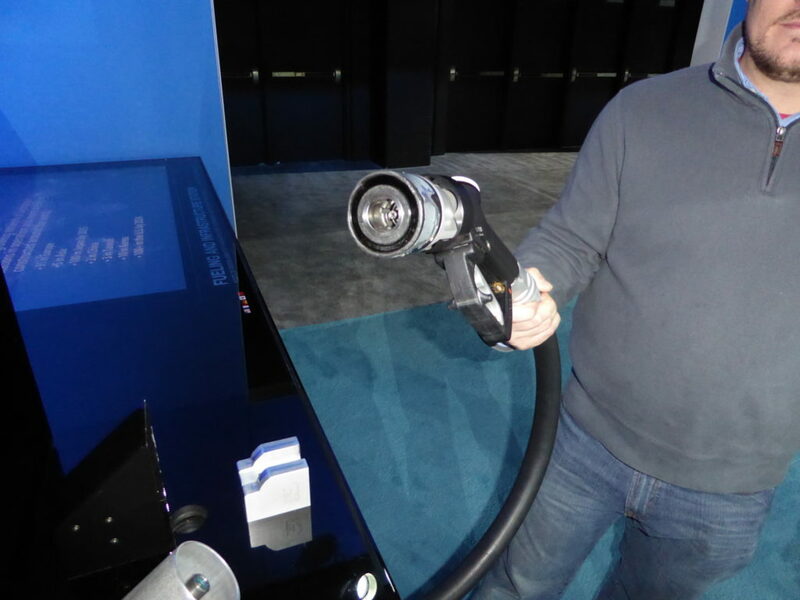 You can read about the exploits of GM’s Margarita Mann, Global Fuel Cell Engineering Business Manager, and how she broke down barriers to getting Level 2 home electric charging going in the state of California. The point of this is paragraph is multi-fold: it was a woman in #STEM, not Elon Musk, that helped make Level 2 charging streamlined for a company like Tesla, and it was a fuel cell engineer that helped lay the groundwork for Tesla’s rapid launch of using Level 2 home charging as a selling point. Breaking down of barriers for new technologies helps speed the roll out of those new technologies to other areas. That last point is the key one when it comes to hydrogen fueling. RMP has recently been publishing posts about companies like Tesla and their anti-hydrogen fans who undermine the roll out of H2 infrastructure to the detriment of America. For years, many of the arguments used to stifle development of clean, renewable, and economically smart hydrogen infrastructure have been debunked one by one and put to rest. The bright light of the truth continues to push anti-hydrogen arguments into the sunshine where they quickly wither. With many of the H2 station policy and permitting barriers now broken down by the pioneering efforts of the CAFCP, California Air & Resources Board, and so many others, a pathway to a more rapid rollout of H2 stations is exactly what we are seeing now. These are truly exciting times for hydrogen fuel advocates who are determined to prove naysayers wrong and show how curmudgeon attitudes against H2 ironically keep us pinned to crude oil. Many people aren’t as focused on how much hydrogen can help America’s economy and environment as RMP is. But, more and more, people are starting to catch on. If you’re reading this post right now, you already know. Things are happening fast now and H2 infrastructure is proliferating at a pace unseen before. Stay tuned to RMP to stay on top of the latest news as RMP is Michigan’s fuel cell authority. RMP will be posting regular updates of our H2 fueling map. Again, you can see RMP’s H2 infrastructure map by clicking here. RMP is a Michigan based 501(c)3 non-profit organization that is unfunded and run with 100% volunteer labor. Our operating costs are as small as the web hosting fees paid to allow you to see this website. You can really help us out by making a tax-deductible donation by clicking here. You can also help RMP by clicking here to follow us on Twitter or clicking here to like us on facebook. Clicking the share post icons at the bottom of this post is also a great way to show RMP support if you cannot afford to make a financial contribution. Thanks for all your support. 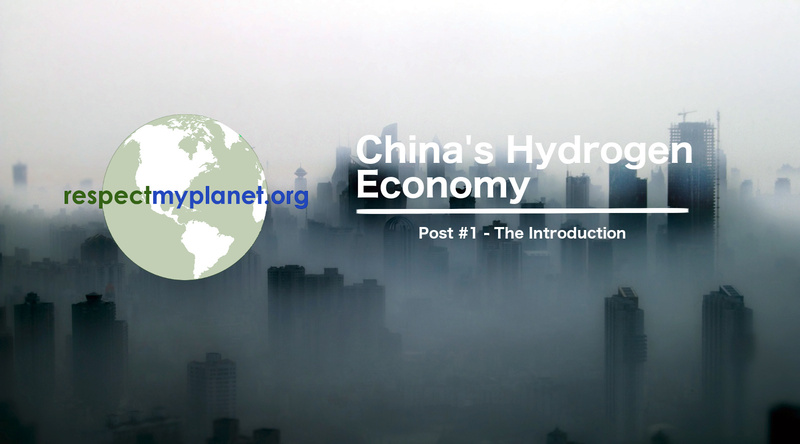 In this post RMP examines China's roadmap to a nationwide ramp up of buidling out hydrogen production, refueling infrastructure, and hydrogen fuel cell vehicles. RMP also launches our new Google map of hydrogen refueling stations throughout China.